Two things collided to create this post. First, I’m a huge ‘The Big Bang Theory’ fan. 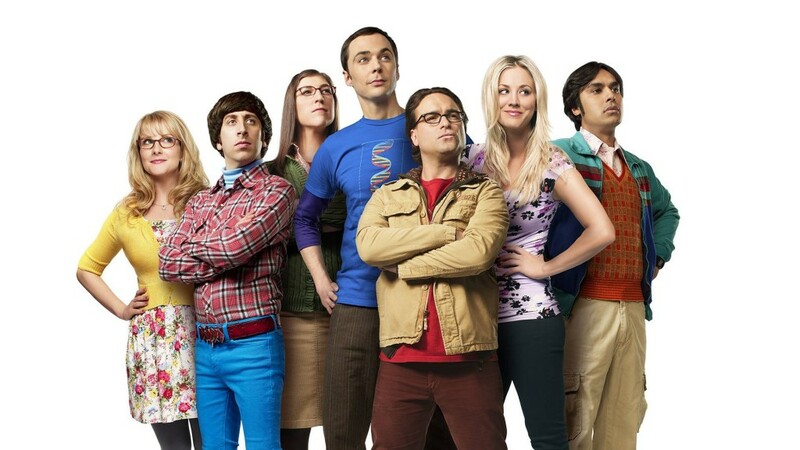 For anyone who doesn’t watch the show its central characters are two roommates – Sheldon Cooper and Leonard Hofstadter – both physicists at CalTech, and Penny, an aspiring actress and “temporary” waitress who moves in across the hall from them. Penny lacks the guys intellect, often struggling to understand (or care) what they’re talking about, but she knows a lot more about life and relating to people than the two geeky scientists. Second, I showed a very clever real life physicist, Stephen Baldwin* a graph of retweet activity over time for one of the tweets identified by our Tweets Distilled experiment. Tweets Distilled seeks to identify interesting tweets early in their lifecycle. Stephen suggested there could be parallels between what makes content successful and the physical properties of heat capacity and phase transition. *Stephen specialises in acoustics and sound processing and is currently looking for a new challenge. 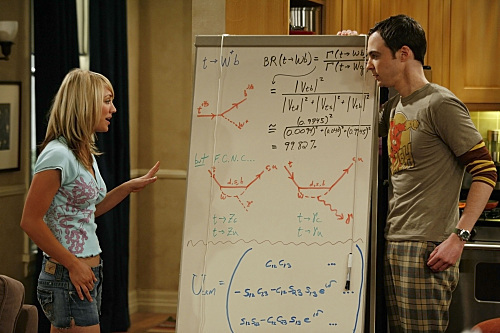 Sheldon Cooper will explain the physics behind these properties later in the post. First here’s the story of the tweet that got me and Stephen talking…. 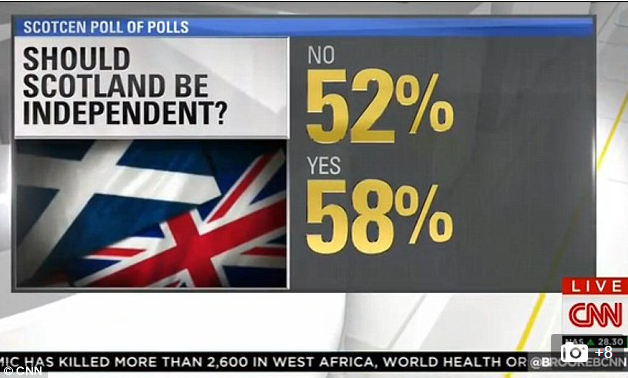 On the day of the Scottish Independence Referendum, CNN’s graphic department had clearly been listening to too many footballers’ post match analysis as they put this graphic up on screen. This was just after 8pm. 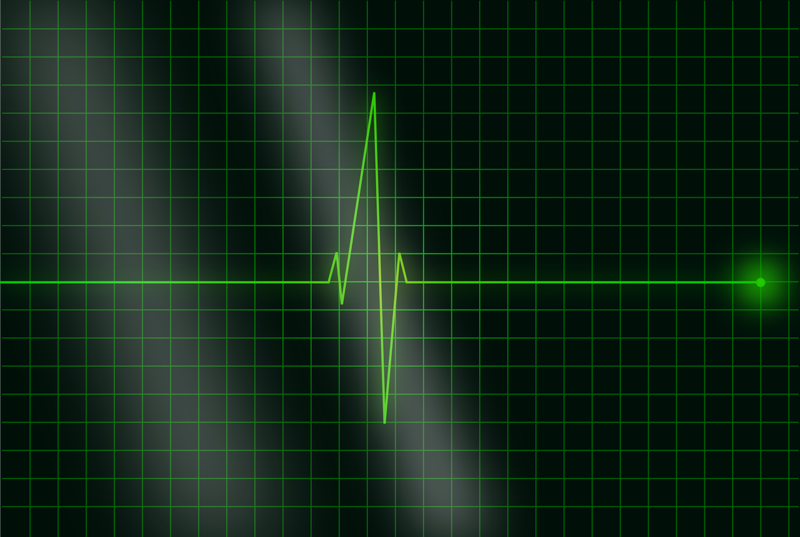 The graph below shows the average retweets per minute in the 8 hours after the tweet was posted. You can see that in the first hour and a half there was a limited amount of activity. and by 21:31 the tweet had been retweeted 62 times. This is exceptional for Brady as none of his tweets in the subsequent 2 months have had more than 2 retweets, but it’s nothing compared to what happens in the next few minutes. At 21:31 the tweet is retweeted by @BefairSports, an account that doesn’t follow @BurningGoats. 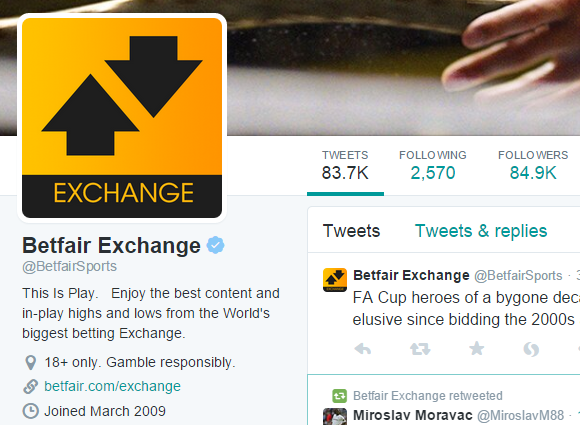 @BetFairSports has over 80,000 followers, one of whom is the ex Liverpool and Germany footballer Dietmar Hamann who has over 600,000 followers. He also retweets the story at 21:33 and immediately following this combination we see a massive spike in retweet activity. From then on the tweet never looks back maintaining a rate of 40-80 retweets per minute for the next couple of hours. So how can physics help to explain what happened? Over to the awesome Sheldon Cooper to explain. Sheldon: Two physical properties are relevant here. Heat capacity and phase transition. Heat capacity is the amount of energy that is required to increase the temperature of a material. It can be expressed as an equation, thus: So the higher the heat capacity, the more energy it’s going to need to get hot. Different materials have different heat capacities. 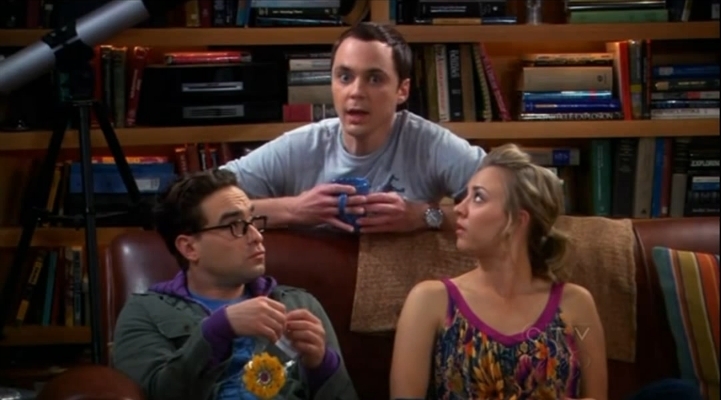 Leonard explanation for Penny: It’s why they don’t make hair straightener plates out of rubber! Sheldon: As the temperature of a material rises it will change state. These changes are called phase transitions and the most well-known are from solid to liquid and liquid to gas. There is also a fourth state that matter can take. 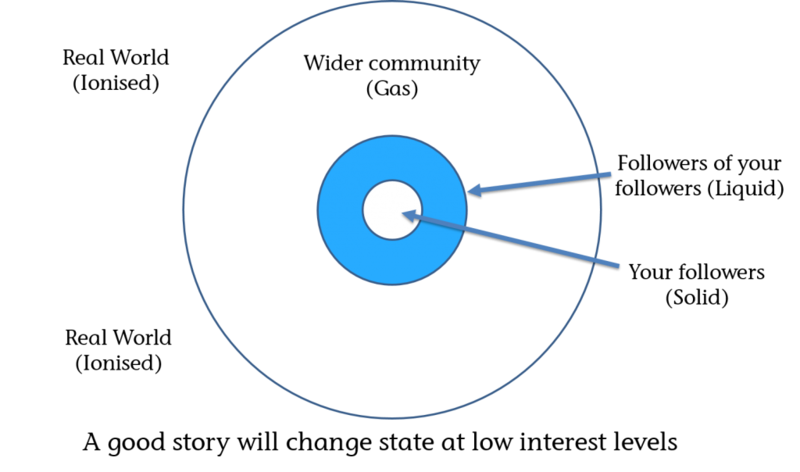 When a gas is heated sufficiently it will ionise and form plasma (the most abundant material in the universe). Different materials go through phase changes at different temperatures. we get: This predicts that low quality content will need high engagement to raise the level of interest being shown in it. Sheldon: If we see the different states content can exist in as: Solid phase = low quality content that even your followers find uninteresting or decent content that receives very little engagement. Liquid phase = great content that’s got some engagement and started reaching followers of your followers, or not so great content that’s lucky enough to get engagement from some influential sources. Gas phase = content that’s reached the wider community, either because a) it’s awesome and quickly got the attention of people dotted throughout that community, b) it’s pretty great content that’s getting lots of engagement generally or c) decent content that’s had the full star power treatment to force it out into the wider community. Ionised = Amazing content that’s so “hot” you’d actually talk to someone about it in the real world and/or it’s appearing in media outside of the online community concerned. The key is that the more widespread the appeal of the content among the community the lower the temperature (interest level) it will have to reach to change its state. So awesome content will take a lot less energy to go through these phases and start reaching the wider community . Sheldon: The CNN graphic is great material. It’s funny, has immediate visual impact and it’s got numbers, and everyone loves numbers. It therefore has an inherently low heat capacity i.e. very high content quality rating. The tweet by @burninggoats improves on this by bringing in the “giving it 110 per cent” phrase that is often used by sports people. This meant the tweet itself had an even lower heat capacity and so raised its inherent quality further. 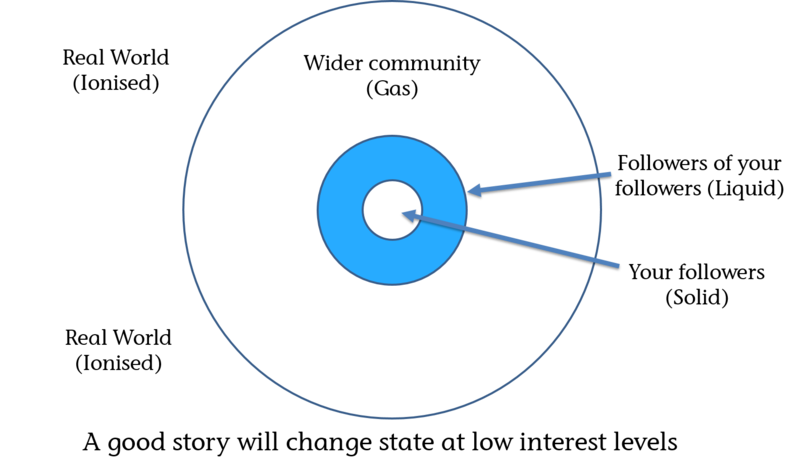 Implication: The tweet only needed a relatively small amount of energy (engagement) to raise its temperature (interest level). At the same time the content also had the potential for widespread appeal. Whether you were interested in the Scots referendum, appreciated the sporting reference or simply wanted to have a laugh at CNN’s expense, many people were likely to find this content interesting. Implication: The tweet only needed a relatively low increase in temperature to change state and reach the wider Twitter community. Combine these two and you had content that only needed a relatively small amount of energy (engagement) and it was going to reach far and wide. 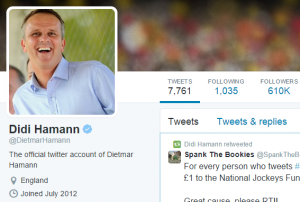 This is what happened when it received the retweets from @BetfairSports and @DidiHamann. And the content subsequently “ionised” when it was published by the Daily Mail. If your content isn’t all the things you know it should be – well designed, eye catching, exciting, thought-provoking, surprising, timely, appropriate format etc – then its going to need a lot of energy from the community to raise the interest level. If you don’t possess this yourself e.g. a brand with a huge organic following like Apple, or you can’t buy it (celebrity endorsement for example), then content like this is going to really struggle to reach beyond a small proportion of those who are closest to you. If you want to reach the parts of a community you don’t already know then you need to understand what is likely to engage those people, as well as those close to you, and design your content accordingly. This will mean that your content has the potential to “change state” at much lower levels of interest. Again this means the energy (engagement) requirements to achieve this are lower. In almost every case the quality and appeal of the content will only get you so far. They will reduce the energy requirements, but they won’t eliminate them. As we saw with the CNN example, the innate quality and widespread appeal of the tweet meant it turned into a liquid (reached the followers of Brady’s followers) quite quickly. Even still it took the input of energy from Betfair and Didi Hamann’s engagement to make it change state to a gas and start reaching the wider community. This demonstrates one of the potential benefits of an influencer strategy. Though be wary. It’s important that the influencers, really do possess the potential for influence. Don’t get fooled by simple reach numbers. Make sure they are highly relevant so that the wider community they help you reach is the one you were looking to target. Finally in a corporate situation the use of paid promotion should be considered as an alternative to provide this additional energy when it doesn’t appear organically.